I don't know about you but when the temps rise I do not want to be chained to the stove. So in our latest Recipe of the Week we take the kitchen outside and fire up the grill. On the menu: Citrus Grilled Chicken. 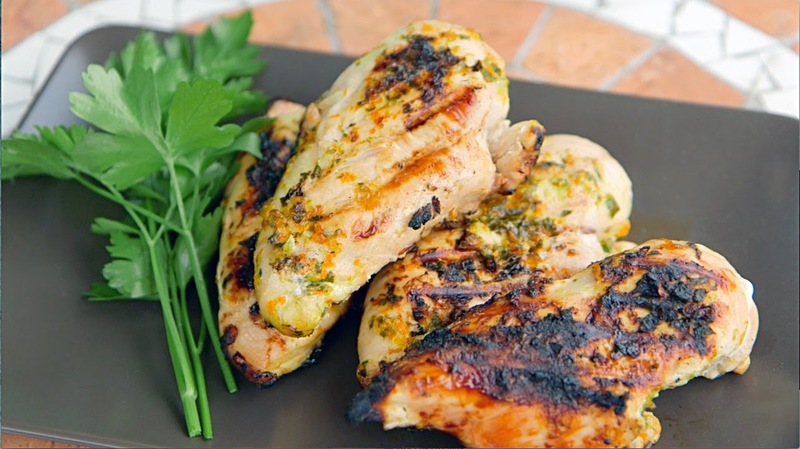 Chicken can be so blah, but a flavorful marinade is such an easy way to pump up the flavor. In this case we make the most of fresh oranges and limes, but you could mix it up any which way you please with lemons, clementines, tangerines, etc. Plus you can double the recipe and make extra for an easy lunch option the next day or even dinner later in the week. It's delicious versatility. Whisk together the first 7 ingredients in a large bowl. Add the chicken breasts. Toss to coat. Cover and refrigerate at least 30 minutes or (better yet) overnight. Remove chicken from marinade, sprinkle with salt and pepper. Cook the breasts on the grill 3-6 minutes per side, until it’s no longer pink inside. As always be sure to visit Max's Best Bootcamp TV to catch the full episode. This sounds fantastic! Great summer recipe! Good summer recipe outdoors, I will have a try.